The Tommy Hagen Trio Featuring Rick Reuther has been delighting audiences with their music for many years. 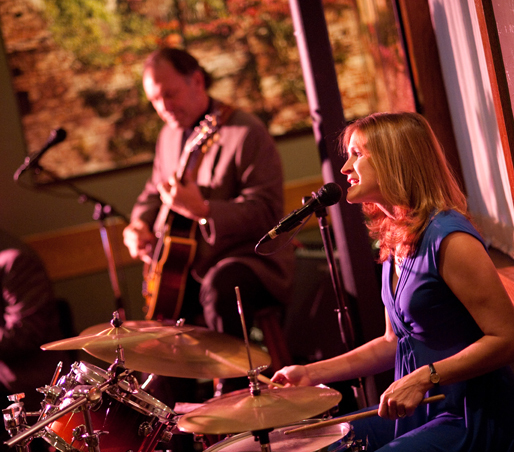 They have performed together at Noto’s every Wednesday evening since 2001 from 6:30pm – 9:30pm. They perform a wide variety of songs from popular to Broadway and big band to the old favorites of the 30’s, 40’s and 50’s – never failing to make a connection with their audience. JMM Jazz Performs at Noto’s on Thursday evenings from 6:30pm – 9:30pm. Diego Morales leads this trio with some of the best songs ever recorded by artists such as Frank, Dean, Sammy and many more. Kathy Lemar entertains at Noto’s on Friday evenings from 7:00pm – 10:00pm. Vocalist Kathy Lamar sings a diverse blend of jazz, R&B, soul, and pop hits and delights audiences with her powerful voice and infectious laugh. The John Shea Trio performs classic Jazz at Noto’s on Saturday Evenings from 7:00pm – 10:00pm.